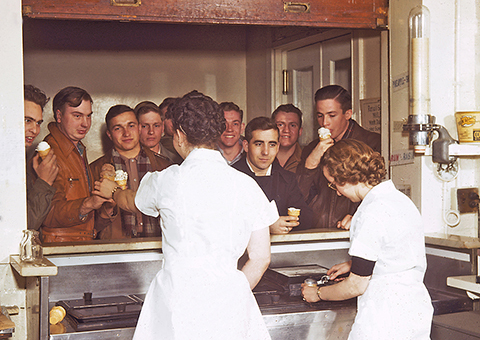 From the mid-1910s until 1969, Purdue faculty, staff, students and visitors had the chance to stop by the Purdue University Creamery on campus where they could purchase fresh ice cream. 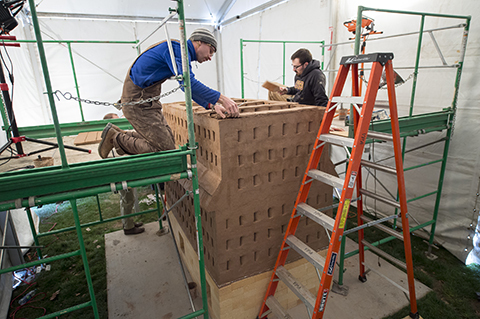 Ceramic artist Nina Hole's final fire sculpture is being constructed outside Pao Hall on Purdue's West Lafayette campus. The project started March 22 and will continue daily until Thursday (April 14).